I’ve noticed that sometimes, my refrigerator has a stale odor. How can I determine what’s causing the smell, and most importantly, how can I stop the problem from occurring? One option is to clean your refrigerator with spray bottle of warm, soapy water and sponge. 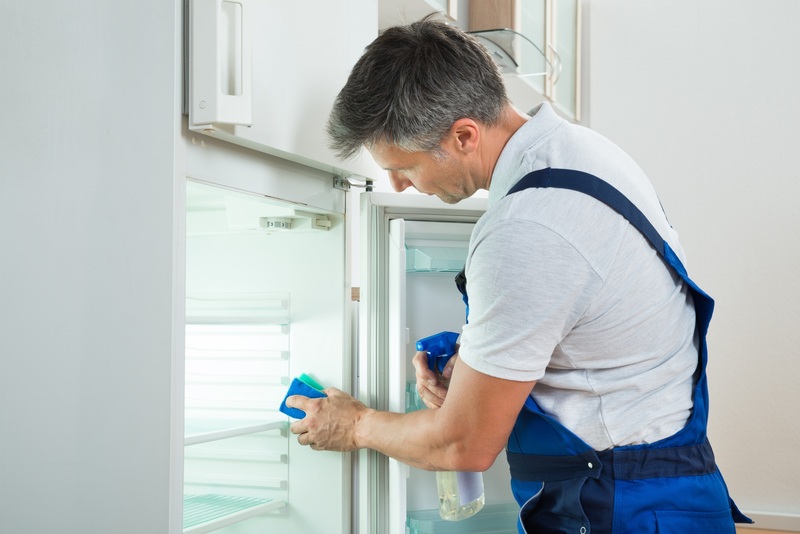 It’s likely that what you are smelling is either bacteria or mold that can thrive in moist conditions and are oftentimes found in refrigerators. Moist conditions in a fridge can be caused by condensation from the fridge, humidity from the outside and, yes, spilled foods, experts say. This issue is that once moisture gets into your refrigerator, microbes can multiply and eventually emit a foul smell. First things first, make sure your fridge is set to the right temperature in order to control the moisture content and to make sure your food is being preserved correctly.